World Poetry Presents MICHAEL KWAKU KESSE SOMUAH! Ariadne wrote: We are so pleased to welcome our new World Poetry Reading Series Member! He will be featured three times during his membership and you will be able to read a selection of his poems. He dedicated his poem to Oneal Walters who has been a long time friend and supporter of World Poetry. 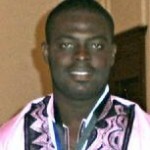 MICHAEL KWAKU KESSE SOMUAH was born in Akim-Oda but a native of Obo-Kwahu, Ghana, in December 1984 and was educated at the Hermann Gmeiner School (SOS)-Tema, Presbyterian Boys Secondary School (Accra), before pursuing his Bachelor’s Degree in Management studies at the University of Cape Coast. He holds a Graduate Diploma in Business Management and Commercial Management from the Institute of Commercial Management-UK. 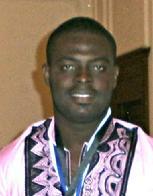 Michael is currently the Project/Human Resource Support Executive of Rakes Company Limited, an avid poet and has coordinated activities with the Secretary General of the Pan-African Writers’ Association, Prof. Atukwei Okai, the Ghana Association of Writers’ as member on their GAWBOFEST sub-committee, and Publication team. A staunch member and contributor of Poetryspace (UK), Indigo Dreams (UK), United Poets Laureate International (Brotherhood of Peace through Poetry) -California/USA, and other literary bodies. Michael is currently working on his first poetry book which seeks to conquer the opponent with love. opponent with love. He is writing his first poetry book. And the world soaked in silence. And dance to the music my heart aspired for. 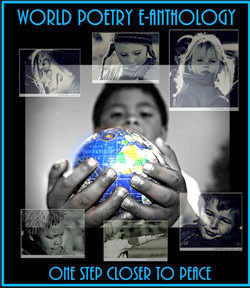 This entry was posted in Featured Poets, General and tagged Africa., Alejandro Mujica-Olea, Ghana, International Peace Award Ariadne Sawyer, MICHAEL KWAKU KESSE SOMUAH, Oneal Walters, Samarendra Patra on February 6, 2012 by Ariadne. Lovely work! Glad to have you on board!